Guest speaker Dr. Walter Wong met his former teacher Professor Iu Vai Pan, College Master of SHEAC. 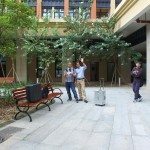 On 1st April, Stanley Ho East Asia College (SHEAC), with the kind coordination of Fellow Mr. Walter Wan (FST Senior Instructor), invited Dr. Wong Ka Io, Walter, from the Department of Transportation Technology & Management of National Chiao Tung University, Taiwan, to introduce the development and applications of aerial photography. 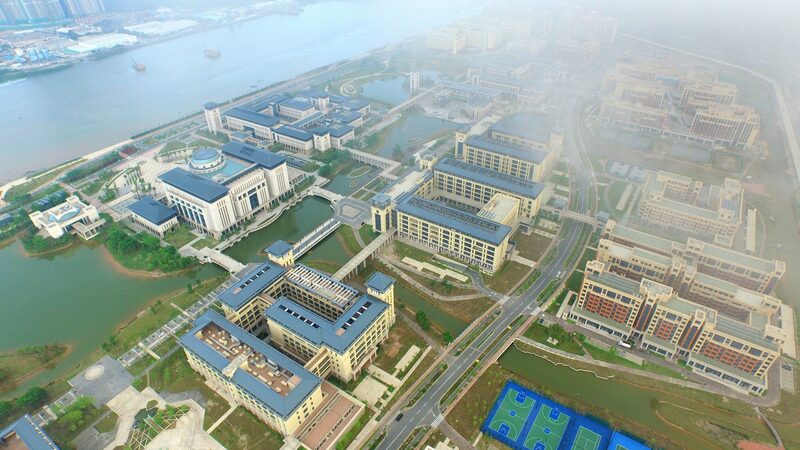 Dr. Wong also demonstrated the use of drone by flying it to offer us a bird’s-eye view over the whole campus. 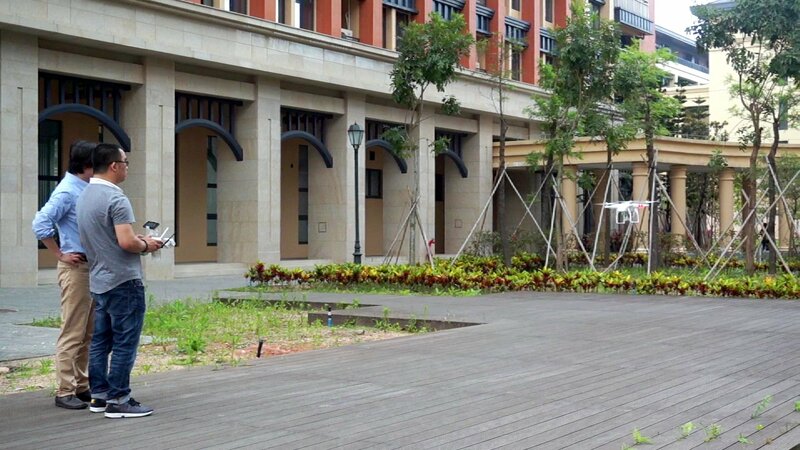 Dr. Wong is an alumnus of the Civil and Environmental Engineering Department of the University of Macau. 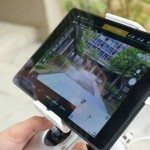 Dr. Wong first illustrated the wide application of drones, ranging from land surveying, agricultural industry, to environmental monitoring, and even express delivery companies have considered using them to deliver parcels. 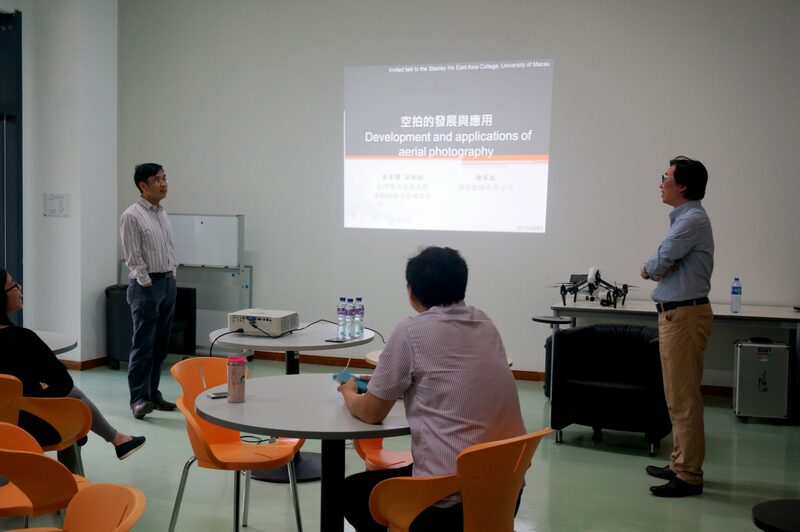 Dr. Wong also presented various types of drones and its development trajectory. 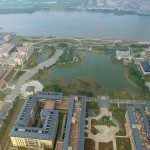 In particular, quad-rotor unmanned aerial vehicle (UAV) is suitable for aerial shooting in small areas due to its ease of operation and high mobility. Students were excited and tempted to try flying the drone after hearing all this. Nevertheless, Dr. Wong emphasized that as different countries had different regulations on drones and aerial photography, we should pay attention to the local regulations while operating drones. 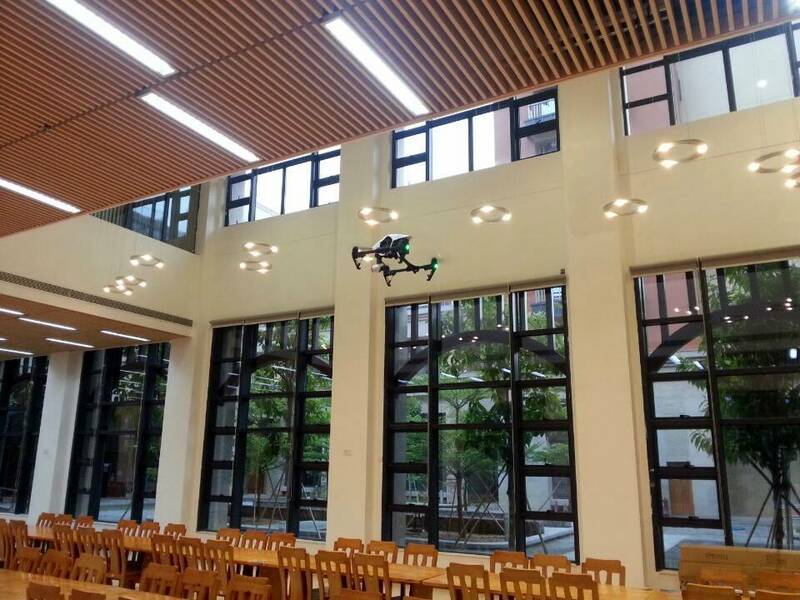 Drones with an accurate positioning sensor can also fly in indoor areas, a demonstration in the College refectory. 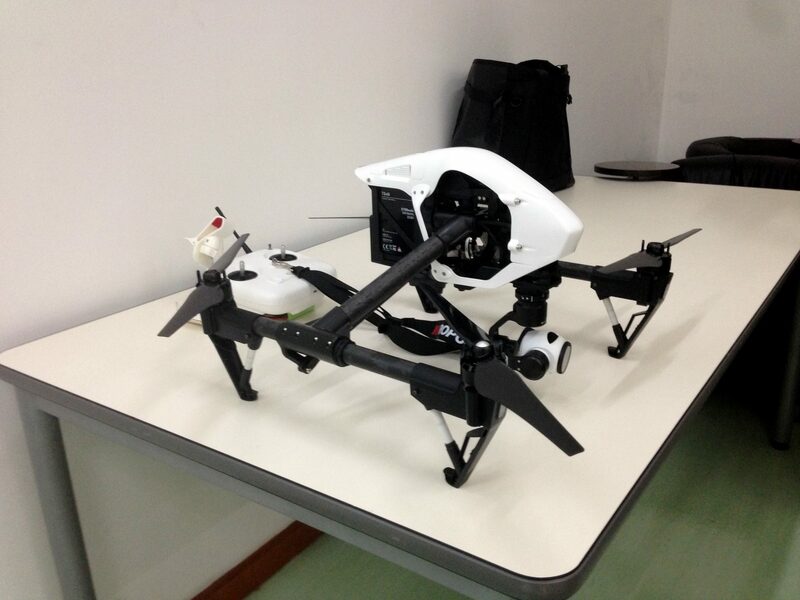 After the informative introduction, the long-awaited drone demonstration finally started. 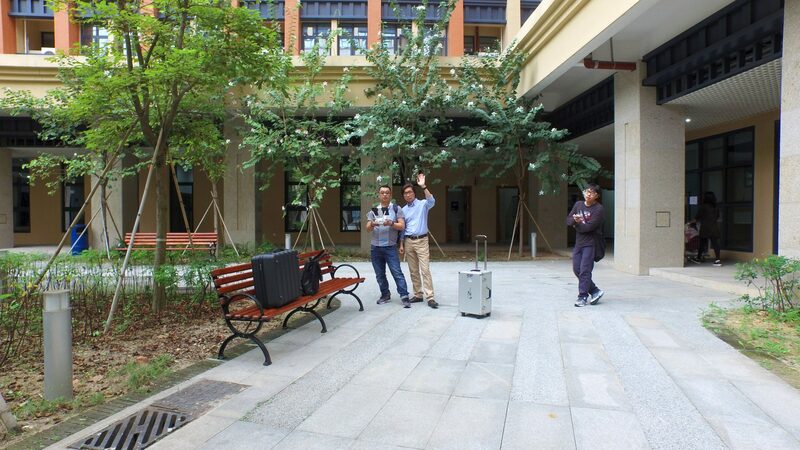 With buzzing sounds of the airscrews, the drone slowly took off in front of the main entrance of the College. 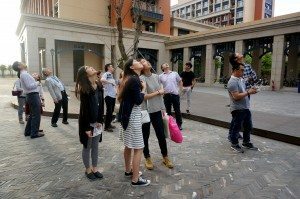 From time to time, the crowd uttered exclamations of surprise while watching the drone flying up to the sky. 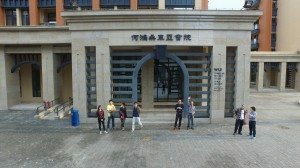 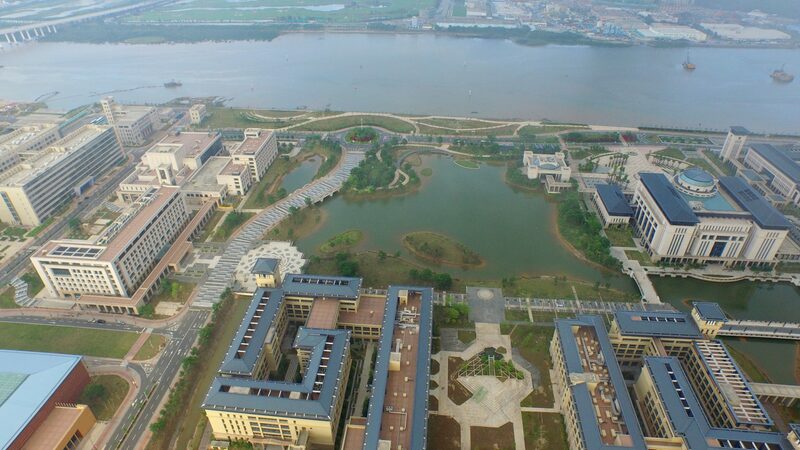 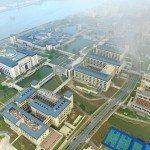 Meanwhile, Dr. Wong’s friend and partner, Mr. Tse, manager of an aerial photography company, also operated his drone which soared by more than 200m high to take photos for the College and the beautiful campus. 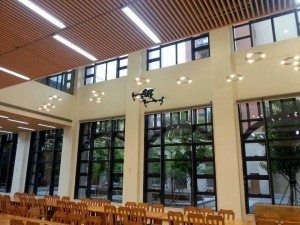 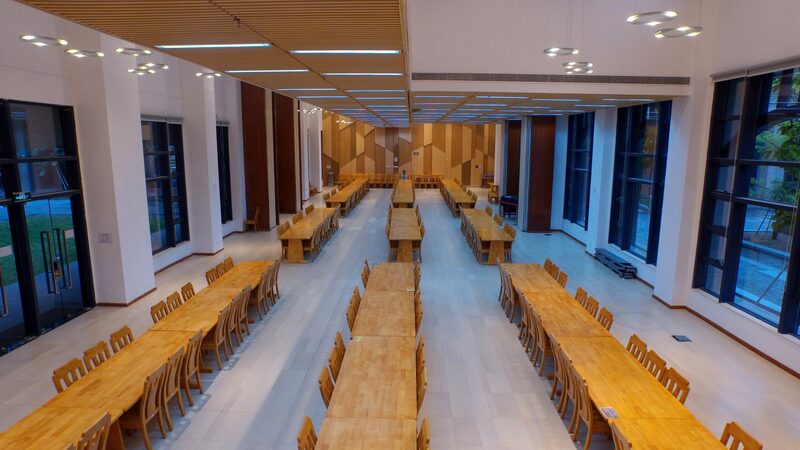 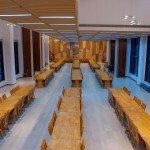 At the end, the drone was brought indoor into the Refectory to shoot its neat environment. 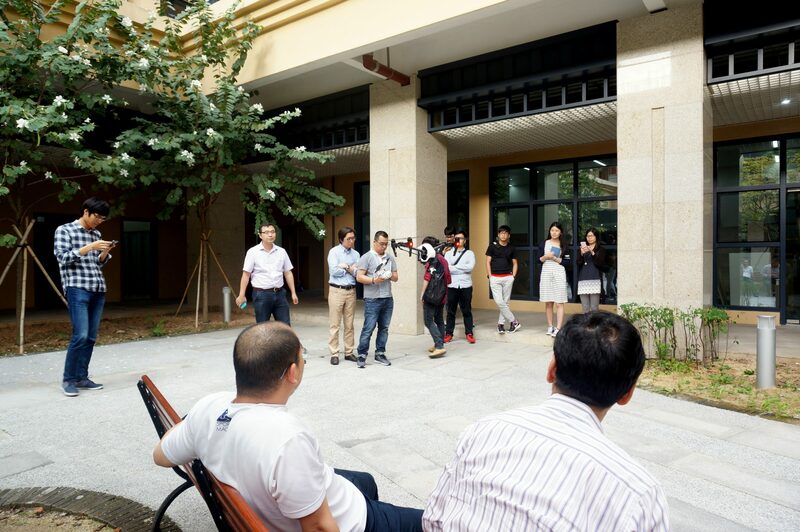 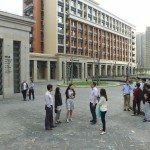 The guests demonstrated in the courtyard of the College how to operate a drone. 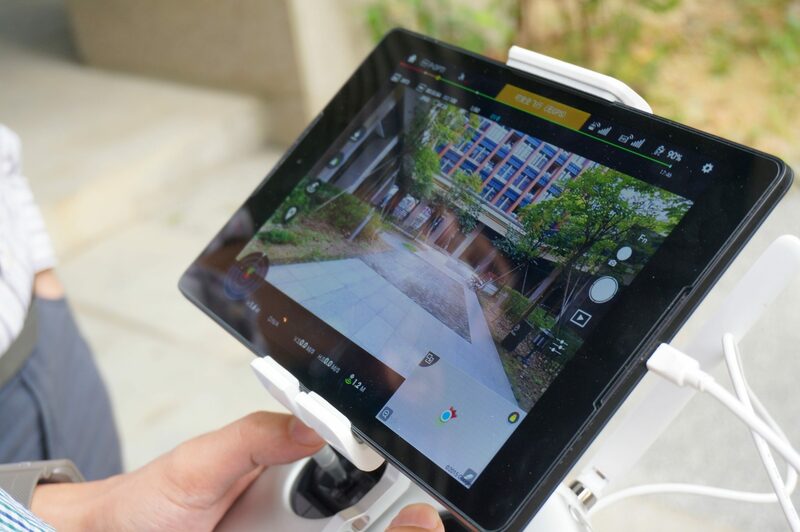 Despite this short aerial journey, students were very impressed by the drone demonstration. 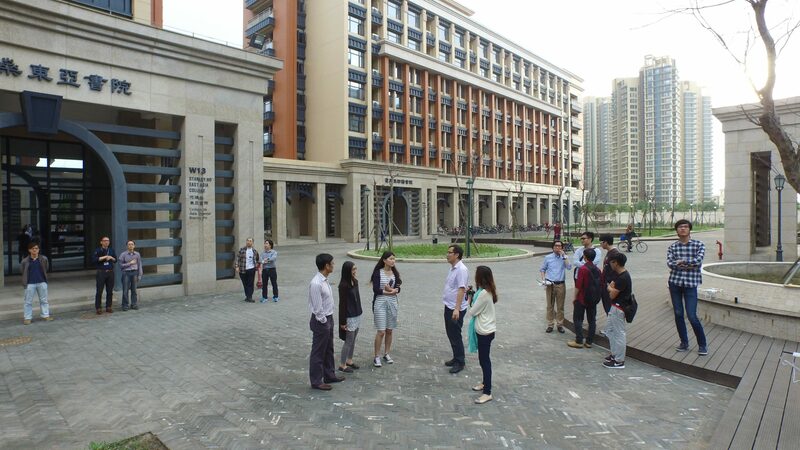 The guests also operated their drones in the open area to take images of the colleges and campus. The crowd was stunned by the fast and accurate movement of the drone. The drone shot a picture of the crowd in front of the main entrance of SHEAC.